Errol Spence Jr. (25-0, 21 KOs) retained his IBF welterweight title on Saturday night by dominating Mikey Garcia (39-1, 30 KOs) in a 12-round shutout in front of 47,525 fans at AT&T Stadium in Arlington, Texas. Garcia, who holds the WBC lightweight title, moved up two weight classes to challenge Spence but found himself in deep waters from the start. 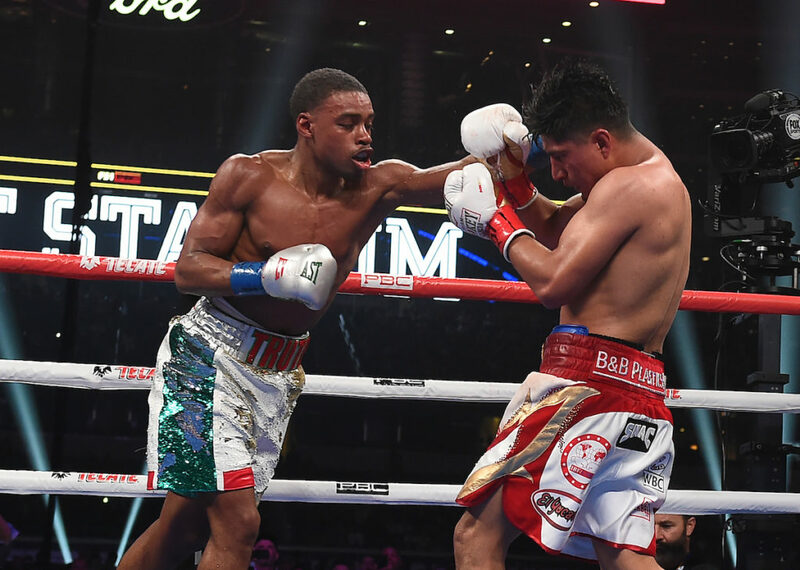 Spence was too big, too strong and too skilled for the naturally smaller Garcia – putting on a boxing clinic en route to a unanimous decision win in the Premier Boxing Champions on FOX Sports PPV. 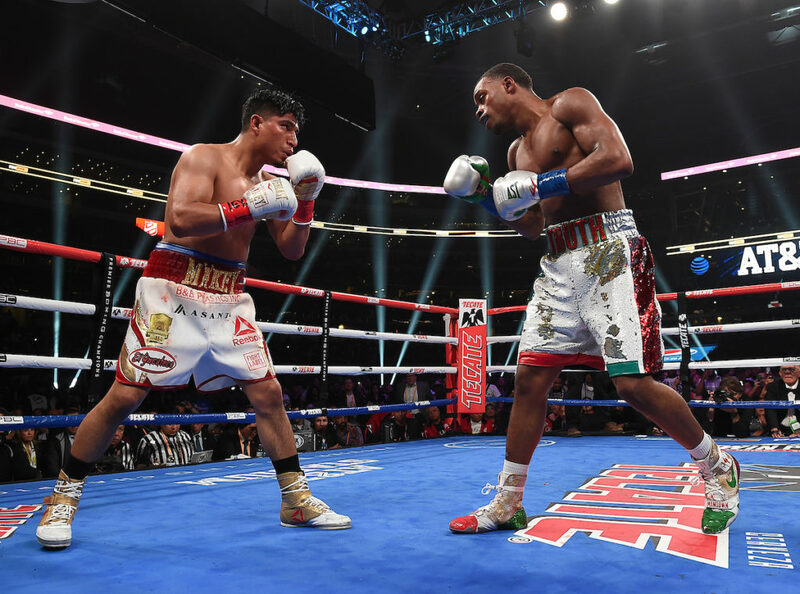 To his credit, Garcia never stopped trying but was unable to land any notable punches throughout the fight, as Spence outlanded him 345 to 75 punches. 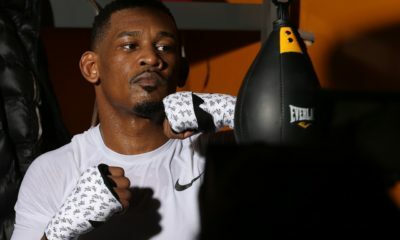 While Garcia will likely go back down in weight, Spence is looking within his own division for his next major bout – he called out Manny Pacquiao, who was in attendance, after the fight. Earlier on the card, David Benavidez (21-0, 18 KOs) rolled by J’Leon Love (24-3-1, 13 KOs) with a second-round stoppage in their super middleweight match-up. After quickly taking control of the fight in the first round, Benavidez pummeled Love in the second, badly hurting him after a combination sent him to the ropes, prompting referee Laurence Cole to waive it off. Benavidez called out Anthony Dirrell after the fight, who holds the WBC 168-pound title. 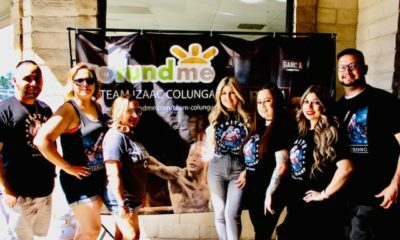 Opening up the card was former heavyweight title challenger Chris Arreola (38-5-1, 33 KOs) who scored a third-round TKO over Jean Pierre Augustin (17-1-1, 12 KOs).